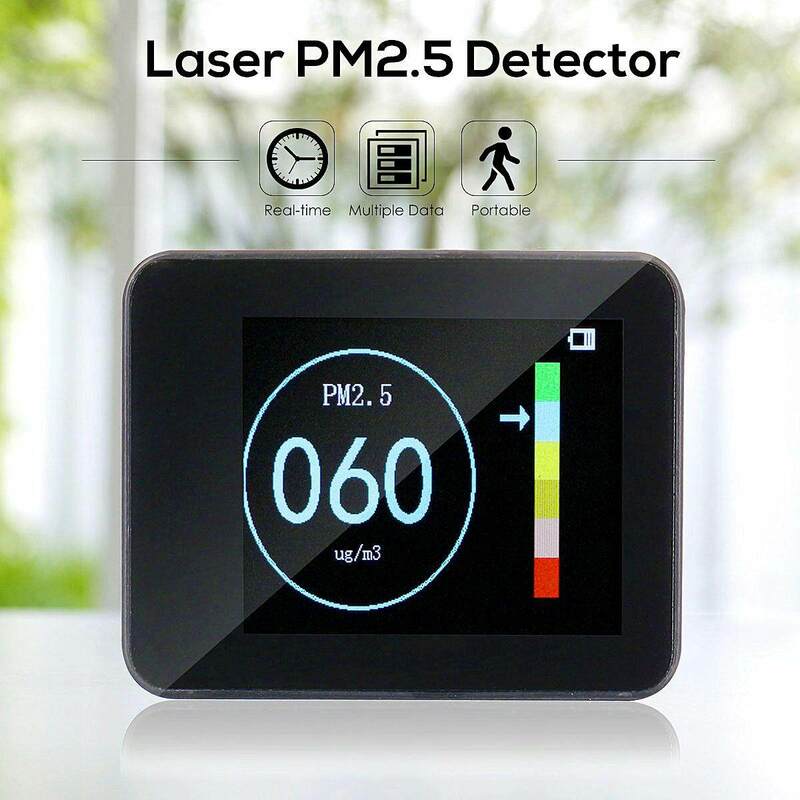 Xiaomi PM2.5 detector birth can solve the problem can not always understand the quality of the air around, compact size is equipped with a black OLED screen, and high - precision laser sensors to join you can always grasp the PM2.5 the value of your environment, through the and millet air purifier linkage, so clean up the air this matter becomes more and more simple and casual, this is Xiaomi PM2.5 detector unique charm! If you have transition to Xiaomi air purifier, and then it will become the best partner of the purifier, you can set the API range, If the pollution exceeds the standard, automatic remote purifier for air improvement. 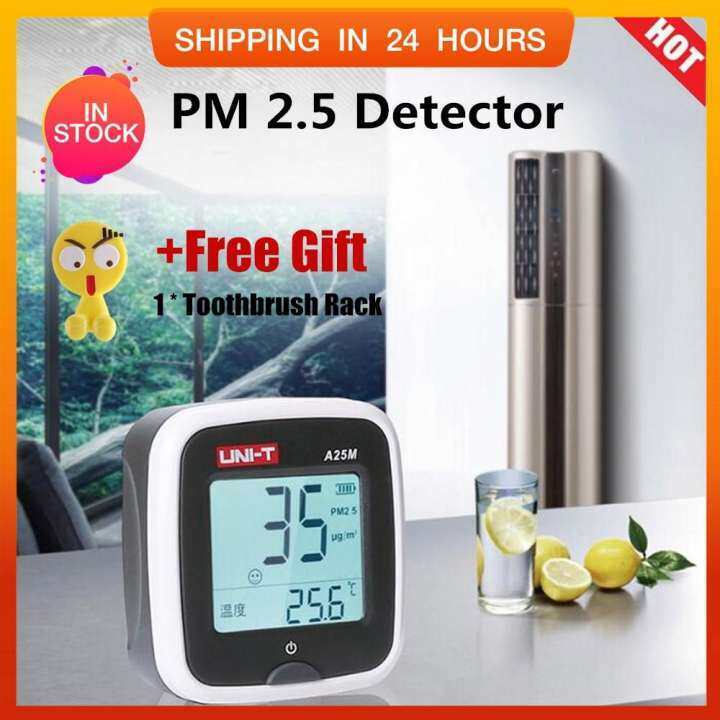 Air purifier can also read meter PM2.5 detector as a reference value, more precise for air purification. When the first ray of sunshine every day to the face, Xiaomi PM2.5 detector has already the opened for you millet air purifier. Get up quickly! To enjoy the clean air To "bringing you the vitality, while the warm time mode allows you the first time To know been they want To be the newest. 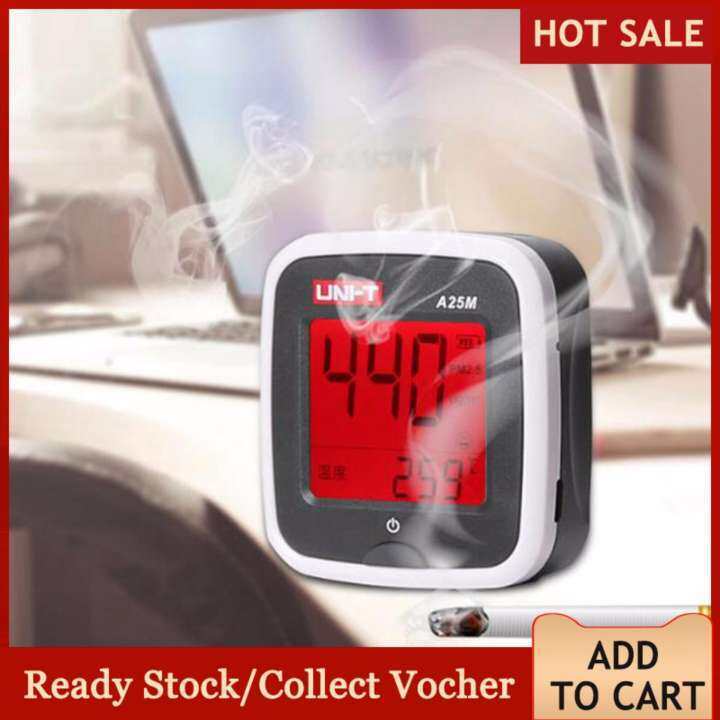 Clean the whole day, good home air quality, so that the air purifier also take a break, set the timer to close the air purifier, easy silent sleep, of course, in order to good sleep quality, it will adjust the screen brightness, and feel. 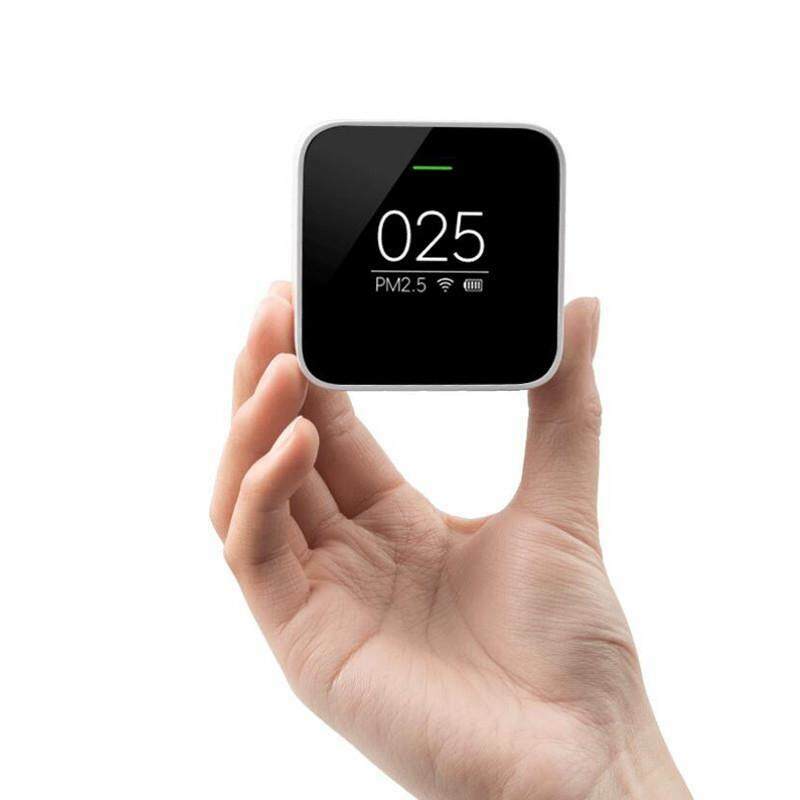 This is a pocket - sized PM 2.5 detector that can be carried anywhere you go. 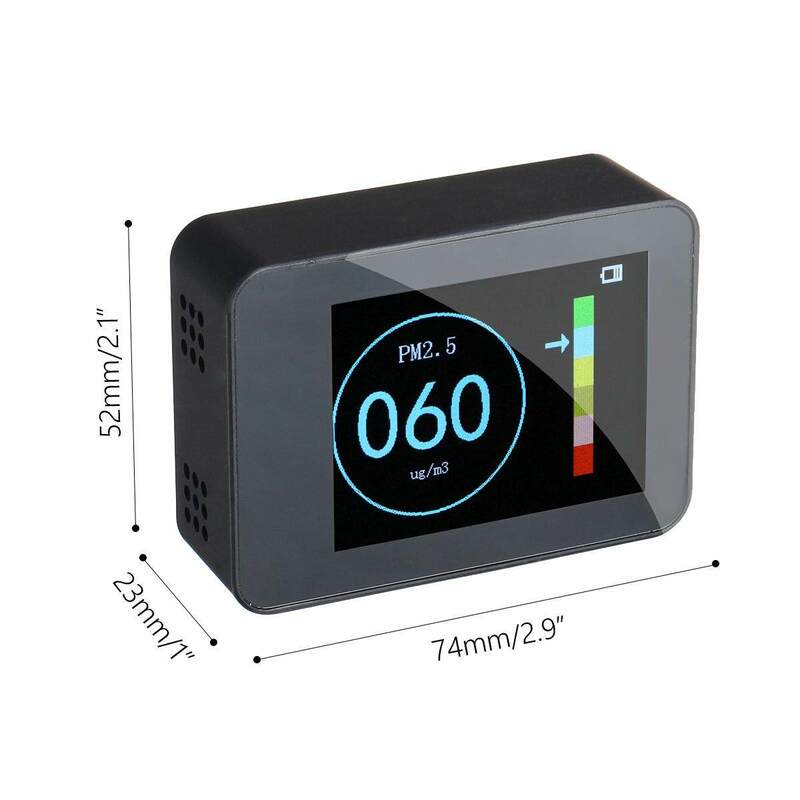 The Minimalist design, 37, 62 x 62 x (mm) in size and weighs only 100 g. The \can last for 2 to 3 hours, allowing you to know The surrounding air in real time, been you are working outdoors or working indoors. Black screen and fuselage integration, people full of imagination. 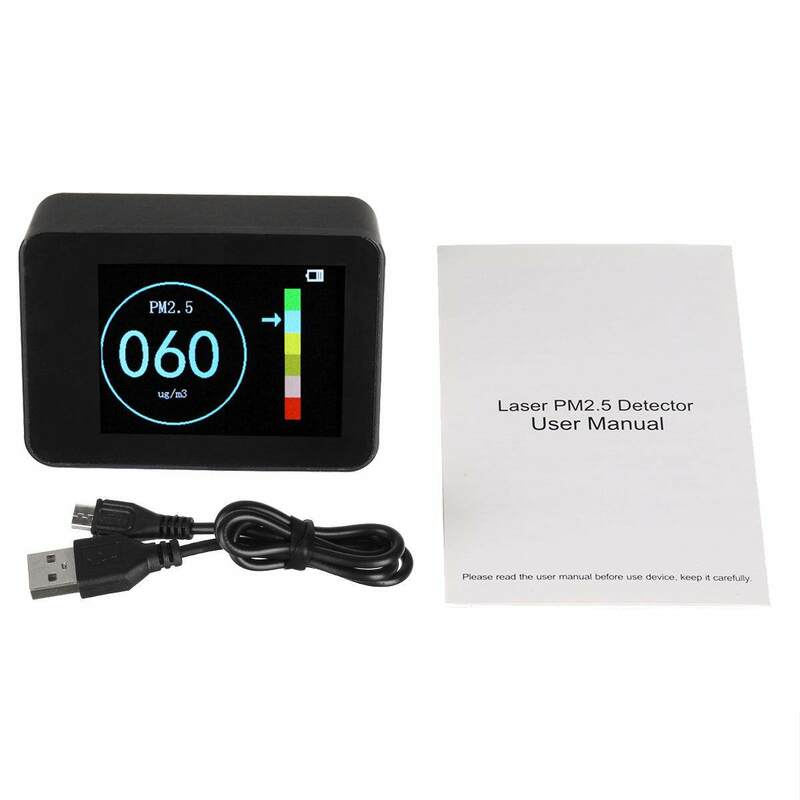 The OLED screen compared to traditional LCD LCD screen, do not need to rely on the back of the light source for self - luminous material, who definition, faster - the response time, coupled with the color change of the indicator light allows you to visually feel the air quality changes. Xiaomi PM2.5 detector has a pair of good at discovering the details of the eye, its built - in high - precision laser sensor can accurately see the microscopic world, the smallest resolution of 0.3 microns particle size particles, precision air quality, with millet air purifier linkage, so that the family at all times fresh and natural. Xiaomi PM2.5 detector can "bringing accurate test data, because in its compact body, with industrial - grade production standards. The Pure white ABS shell and the black OLED screen composed of" Panda color ", coupled with the stability of high - precision laser sensor to "bringing hard power, bringing more confidence in the overall product experience. 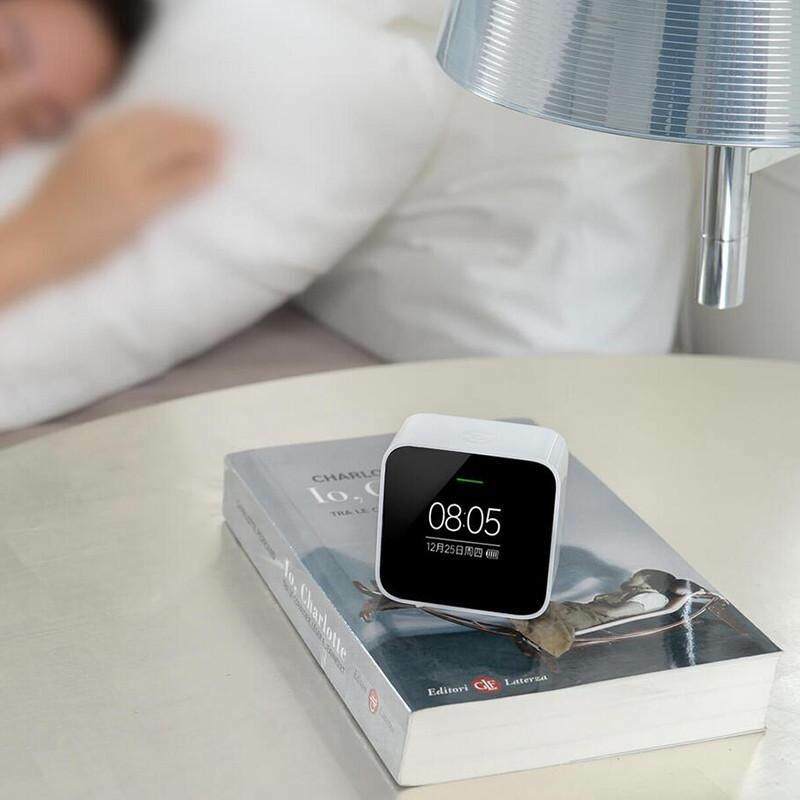 Simple appearance, with the match is more Simple operation, the whole body a key design, not only can display the test data, but also a key to switch to the time mode, instantly turned small clock. ข้อมูลจำเพาะ:สี: ดำวัสดุ: PC/ABSขนาด: 74 × 23 × 54 มม. 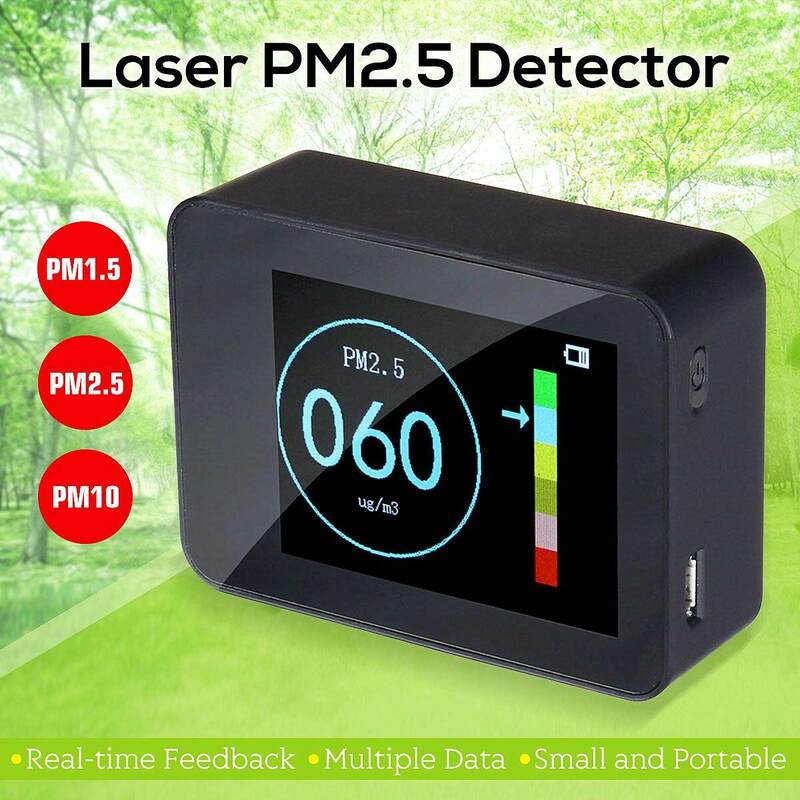 (2.9 × 1 × 2.1 ")Sensor: เลเซอร์ PM2.5 SENSORSampling วิธี: พัดลมอินพุตPM2.5 ช่วงการวัด: 0 ~ 999PM2.5 ความถูกต้อง: ± 10%ความละเอียดนเส้นผ่านศูนย์กลาง: 0.3 ไมครอนเวลาตอบสนอง: แสดงผลแบบเรียลไทม์แบตเตอรี่ประเภท: 500 mAh แบตเตอรี่ลิเธียมอายุการใช้งานแบตเตอรี่: 180 Minเวลาชาร์จ: DC 5 Vที่มีประสิทธิภาพใช้เวลา: 20000 ชั่วโมงคุณลักษณะ- เลเซอร์ความแม่นยำสูง Sensing.- Real - time ข้อเสนอแนะ.- อ่านง่าย หลายหน้าแสดงแต่ละที่แตกต่างกันดัชนี- ขนาดเล็กและแบบพกพาเหมาะสำหรับฉากเช่นบ้าน, รถยนต์, สำนักงานแพคเกจรวม:1 x เลเซอร์ PM2.5 เครื่องตรวจจับ1 x คู่มือการใช้1 x สาย USBข้อสังเกต:1. โปรดอนุญาตให้ 1-5 มม. ข้อผิดพลาดเนื่องจากวัดด้วยตนเอง โปรดตรวจสอบก่อนที่คุณจะเสนอราคา2. สีอาจแตกต่างกันเป็นจอแสดงผลโปรดเข้าใจ.